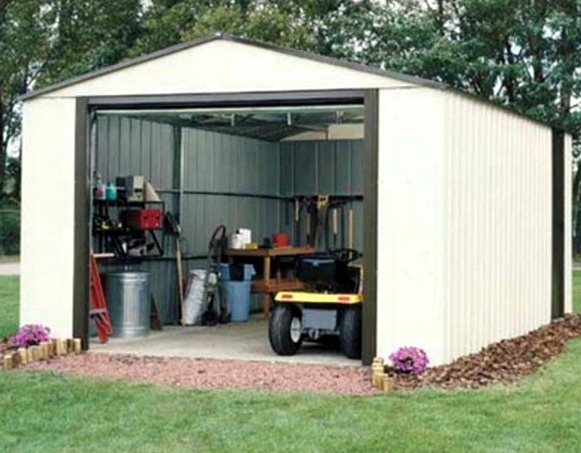 Large steel shed with roll-up garage door and vinyl coated finish for extra durability! This is for one Brand New Large Garden Equipment Storage Shed Vinyl Coated Steel Walls 12' x 24' x 8'. 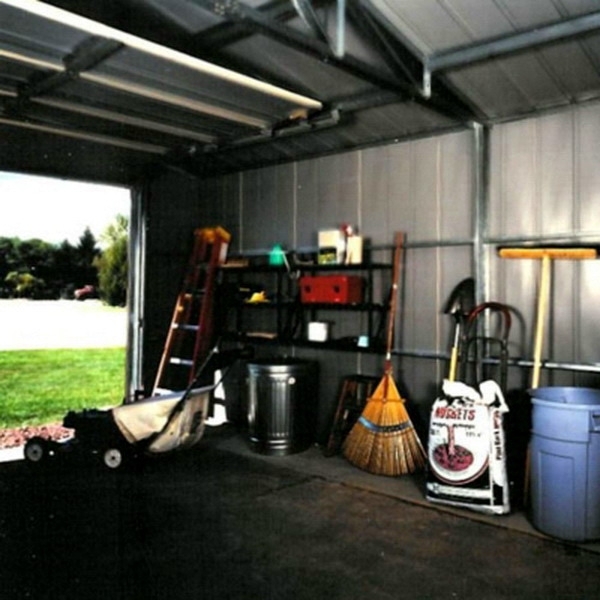 For truly extra-large storage needs, this Arrow Vinyl-Coated Steel Shed is your solution for organized storage. The unique roll-up, garage style door and gable roof blends with a durable vinyl coated exterior steel finish to give you maximum value for your storage dollar! Includes an added sliding side door for added access to stored items! Use for storage or as a small workshop or hobby space. Perfect for storing supplies and equipment for a small business. This steel shed measures 12' × 24'. - Storage Area: 278'sq. ft.; 2037' cu. ft.
- Wall Height: 73 ¾"